The Born in Guangzhou Cohort Study Department is the main department to undertake key project ‘The Born in Guangzhou Cohort Study’ in Guangzhou City. This project intends to invite 30 000 pregnant women and their children to have a long-term follow-up, to establish the largest biological parentage biobank in normal population in China, using epidemiological methods to explore the impact of the Guangzhou area in the next 20 years, find out the main factors of children and women's health, measuring the social, economic, cultural, biological, and environmental factors, and the mechanism of them, as well as to verify the cause of a series of adverse pregnancy outcomes and childhood diseases, improving child and women's health interventions to provide a scientific basis, and provide the basis for improving health services, the development of relevant medical service guidelines and policies. December 2009, the CEO of Guangzhou Women and Children’s Medical Center Prof. Huimin Xia invited Professor KK Cheng, from the University of Birmingham to visit our medical center and discuss the feasibility of developing the birth cohort study in our center. Subsequently, we also invited many foreign experts to provide advice on how to establish the birth cohort study, and Prof. Huimin Xia also led the team members to visit Denmark, Norway and the famous British children birth cohort study. June 2010, Prof. Huimin Xia formal announced the establishment of Born in Guangzhou Cohort Study Department, started preparations for the birth cohort study, Dr. Xiu Qiu is responsible for the overall organization and management of the birth cohort project. November 2010, we obtained a project "the establishment of Biobank and key technology platforms of Born in Guangzhou Cohort Study" by the Guangzhou City Science and Technology and Information Bureau of major science and technology project. Our plan is to establish a cohort study in Guangzhou. Recruitment 30 000 pregnant women and their babies, and follow-up of children to adults. Using epidemiological methods to explore the impact of the Guangzhou, find out the main factors of children and women's health, measuring the social, economic, cultural, biological, and environmental factors, as well as to observe the long-term effects of these factors of the development of children, in order to verify a series of adverse pregnancy outcomes and childhood disease etiology assumptions. We will also establish the largest biological parentage Biobank in China. The Biobank is designed to have 30,000 pairs of paternity and followed up for 18 years which about 1,000,000 biological specimens. The establishment of biobanks will accumulate a large sample volume of biological samples paternity residents in Guangzhou, to promote domestic and international basic research in molecular genetics, etc., also to provide basic support for the development of medical research. The Born in Guangzhou Cohort Study will develop an information management systems as well. Develop accurate, legal and efficient local intellectual property Epidemiology - Biological Biobank information management system, to promote the information technology support in the application of medical and health system. 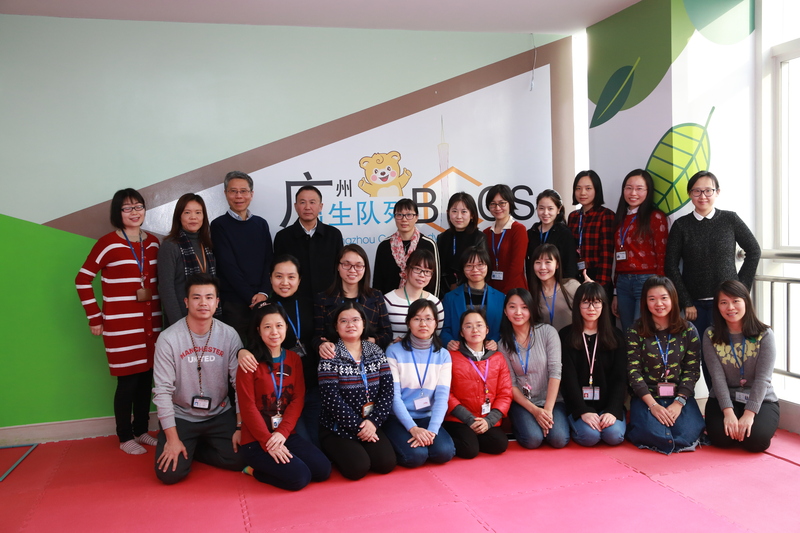 Born in Guangzhou Cohort Study Department is one of the most innovative and most dynamic departments of the center, which consists birth cohort study management committee, domestic and foreign expert group to assist and support the Born in Guangzhou Cohort Study (BIGCS). BIGCS Include epidemiological groups, professional technology groups, Biobank, information technology group, publicity groups, the project management group, teaching group and quality controls group. The CEO Prof. Huimin Xia as the core leader of BIGCS, there are 2 postdoctoral, 1 doctoral and 24 master, the average age of less than 32 years of research team. Team members have graduated from famous universities or studying abroad for many years, professional expertise include epidemiology, biostatistics, molecular biology, medical genetics, health psychology, etc. The entire birth cohort study team is brainstorming, enjoyable, and love each other, adhering to the "no perfect person, only perfect team" spirit. Our research is to fill the blank domestic for the mother and child health research, play a significant role to prove the importance of some diseases impact in children and adults. Participate in BIGCS is completely voluntary. Your participation is very important, your contribution is glorious! This will benefit ourselves, benefiting more mother and child! We look forward to working with you together through the historic 20 years!